Nicole Dieker is a freelance writer and occasional nerd musician. 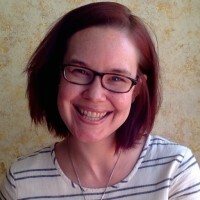 She runs the Ask A Freelancer column at The Freelancer, and her work has appeared in The Billfold, Boing Boing, The Toast, and more. Check out her novel The Biographies of Ordinary People on Patreon, or say hello to her on Twitter @hellothefuture.